This morning my friend and fellow Library Advocate are road tripping to Nisswa Minnesota to support a Lending Library; about a 20 minute drive. 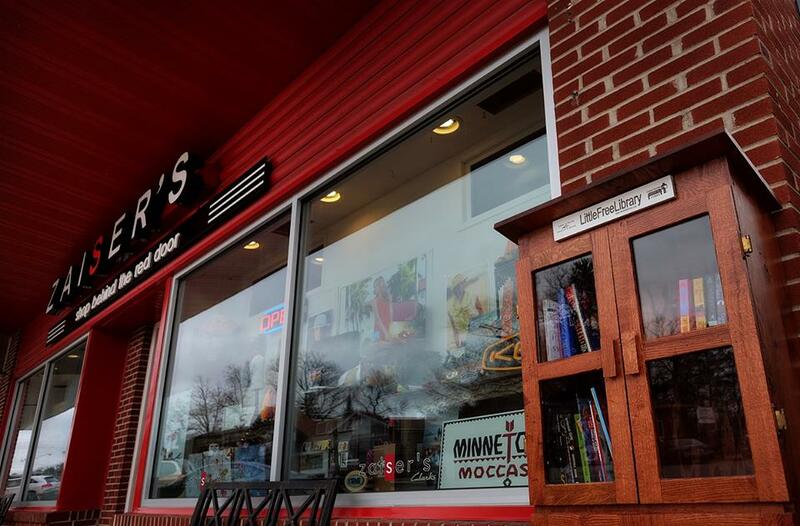 Zaiser’s is a shoe store in Nisswa that has put a lending library outside of the store. It is a cool one too, made out of a hundred year old tree that had fallen. Their opportunity is that the books are going out faster than they are coming in. They put a little blurb on Facebook about this (brilliant idea!) and now Gail and I are taking books there this morning and then having coffee to celebrate. So what books did I pull off my shelves for them? I chose an assortment of books for kids and adults. I picked a few favorites I have duplicates of as well as a few that would make good summer reading or hopefully cause a person to want to read more by a certain author. As you may see in the middle, there is a copy of Summer House and Return to Summer House by Jude Deveroux, two books that speak to me (especially Summer House). Fun! You should buy some shoes while you’re there! They were so nice and thrilled about the books Kathy! Was it a Little Free Library?